About the Author: Joseph has been a father for 11 years and a surfer for 36. From the moment he learned he was going to be a father, he knew that the joys and life lessons that he experienced with surfing were one day going to be passed onto his child. 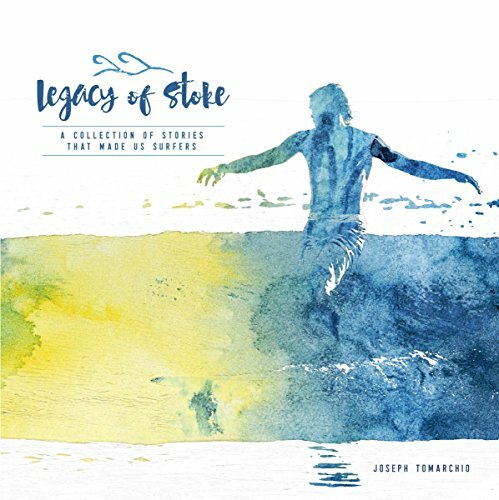 This desire along with a complete inability to draw allowed him to work with his closest friend, Shane Lasby to bring together a small testament of this love for surfing and their children into a book that they both believe will help foster these lessons for any parent and child. Joseph lives and surfs in Charleston, SC with his wife Allison and son Jonah. About the Illustrator: Shane has always been an artist of some fashion for as long as he can remember. This has always been a dream of his to share the images that his heart can set forth from his head to his hands. Growing up and surfing in Cocoa Beach, Florida has taught me exactly what Joseph and I have accomplished in this children's book. Having two little girls of my own has also shown me the true value of what this life offers through patience and perseverance, but all the while keeping me very young at heart. The boy in My Daddy Taught Me to Surf is the child in all of us, still living and learning every day.